Secure your web presence with Creative Media. The OptiPlex 755 offers energy-efficient performance, stability and choice in a mainstream business desktop. Desktop problems. Upgrades. Security. It's been impossible for IT to really "be there" for everyone. And everything. 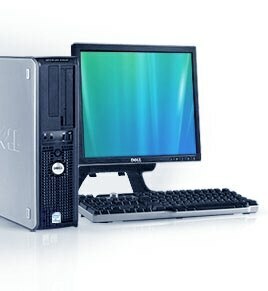 The Dell OptiPlex 755, however, will change all that for IT departments everywhere. Developed through feedback from Dell customers, it offers remote management tools that help simplify upgrades, security, power consumption and even break/fix problems. So more can be done from one place: The IT professional's desk. And with Dell deployment services options, it comes as only Dell brings it to you: Customizable to meet specific needs so you can reduce operational costs, help increase productivity and be ready for what's next. The Dell OptiPlex 755 offers enhanced management and control with Intel® vPro™ processor technology, allowing IT staff excellent flexibility, high efficiency and reduced desk-side troubleshooting. So you can get more done around the office without having to run around - and you have more time for projects that can help an enterprise work better, faster and more efficiently. Intel vPro Processor Technology. Designed to help reduce IT costs with simple, remote management from the IT console, Intel vPro helps extend management and protection. So you can turn desktops on and off remotely, do more remote troubleshooting, and protect your system through virtual, 'always-on' security. 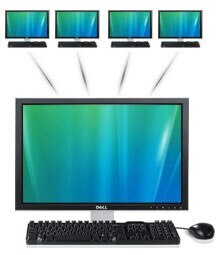 And Dell offers vPro on every OptiPlex 755 form factor1 so you can get it where you need it, across the enterprise. Dell Client Manager is available for download at no cost for Dell customers. This management console allows IT to take advantage of the advanced management features available on the OptiPlex 755, including secure remote power control, streamline provisioning and software patching, monitoring hardware with pre-defined alerts, remote troubleshooting and repair. 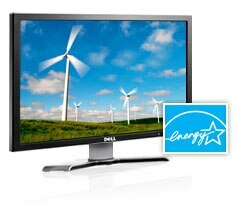 Dell offers an approach to energy that others don't. We think beyond the power supply to power management across the enterprise. That's why the OptiPlex 755 not only gives you default Energy Smart Configurations but tools like an online energy calculator to help you choose configurations that best fit your needs. We believe that saving your resources should go hand in hand with saving the Earth's resources. Energy Smart power management settings enabled out of the Dell factory, consumes up to 54% less power than systems disabling power management. Energy Star 4.0 certification, available on select configurations. Dell's 80% efficient power supplies are up to 10 - 12% more efficient than previous generation power supplies. Energy Efficient, Intel Core™2 Duo processors can deliver high performance with excellent energy efficiency. Use Dell's Energy Calculator to compare and configure your OptiPlex 755 system for optimal efficiency, saving up to 78% in energy consumption. 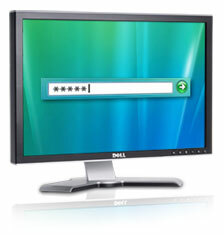 The Dell OptiPlex 755 gives you advanced security options to help keep your data secure real-time. Beyond just RAID support, the system offers proactive security features from vPro, and advanced remote management capabilities. Data Security and Recovery with RAID 1 support ensures real time redundancy for data - helping to keep your business files intact and accessible. Proactive Security features with Intel® vPro™ technology Helps simplify many security functions including guarding against malicious attacks, isolation of virus infected PCs and fast security patch deployment to help keep your system safe and secure. TPM 1.2 helps protect the network from unauthorized access, while enabling multi-factor authentication with smart card and biometric readers to enhance security capabilities for email, web access and data protection. To stay ahead and efficient, organizations must regularly update their technology and mobility infrastructure to current standards. Dell makes this easy with deployment service options that are designed to provide everything you need to optimize deployment no matter your scale, keeping costs down and helping to improve user experience. Dell's ImageDirect is a web-based, hosted image tool that helps make it easy for you to create, manage and load your custom images to Dell client systems. iAMT and VPRO Support through several different options. Through Custom Factory Integration, ease deployment by having unique passwords pre-populated into your systems. As an alternative, Dell Managed Service provides 'on the ground' provisioning for standard AMT. Other options include pre-configured management settings at the point of purchase, providing no-touch deployment helping to save time and money. Microsoft Windows Vista Assessment and Dell Deployment can help you assess your PC deployment process to Windows Vista, recommending ways to help improve the process and maximize your IT return. Please note: All items sold are refurbished. All sales are final.